Many women in business field face more difficulty than their male counterparts. The rate of turning away female entrepreneurs applying for small business loans by the banks has also increased alarmingly. However, fortunately, the government has special policies and grants to give loans and assist in flourishing women-owned businesses nationwide. First of all, give thought about what kind of business you would really like to start. You cannot jump into a new business, head first, without thought and run it successfully. Know your interests and the pros and cons of your interest in that business specialty. You must know what kind of business you are going to run. Do research on it before you file for its registration by the local or federal government. Get a brand or logo for your business identity. Make an expense and costs data sheet that you will require to start a business. How will you manage the funding? Do you need a grant by the government or some other type of loan? 4. Register with the Central Contractor Registration Database, Using your Business Information, Tax Identification Number and DUNS Number. Small business owners want to turn to grants because they think grants are free money and they will not have to pay them back. But, these small business grants come with conditions. First of all, you will have to find a grant for which you are eligible for as a small business owner. Then, you will have to comply to the guidelines for submitting the application and wait for its approval until you get entitlement for the grant. After approval, you still are required to genuinely report on the use of money afterward. Here are few options for private grants that are available for a woman-owned business. Pilot loan programs assist prospective debtors in developing loan applications and obtaining loans. A Women’s Business Development Center or a Small Business Development Company are examples of such programs. When more than 51 percent of ownership in a business is by a woman or women, there are special facilities and assistance programs present for such businesses. 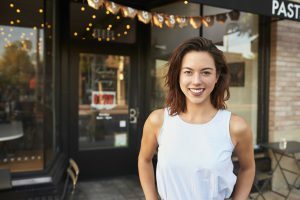 Not all women business owners try to go for these options, but many do. Local government, states, and federal government have special programs for women owned businesses. If you are a female entrepreneur, register your business as a woman’s business enterprise (WBE) and it will lead to several opportunities for you. Female entrepreneurs are making a marvelous impression on the small business landscape countrywide. The government that has special policies and grants to give loans and assist in flourishing women-owned business nationwide. Women just need to come forward with a brilliant plan and commitment to start and run a successful woman-owned business.